NOTE: Of course what happened on Friday in Paris is bad. Terrible. Terribly bad. Nobody who is an innocent who is unconnected to any conflict anywhere should be harmed during war. Just saying before I get painted as a heartless troglodyte. Further Note (for right wingers): A troglodyte (you could just google it you know) is a fictional creature from an old science fiction book. Further further Note (for right wingers): Science fiction is a genre of non-true books written for entertainment with a fanciful though science based theme. Further^3 Note (for right wingers): Science is that stuff you think is made up but is actually real. 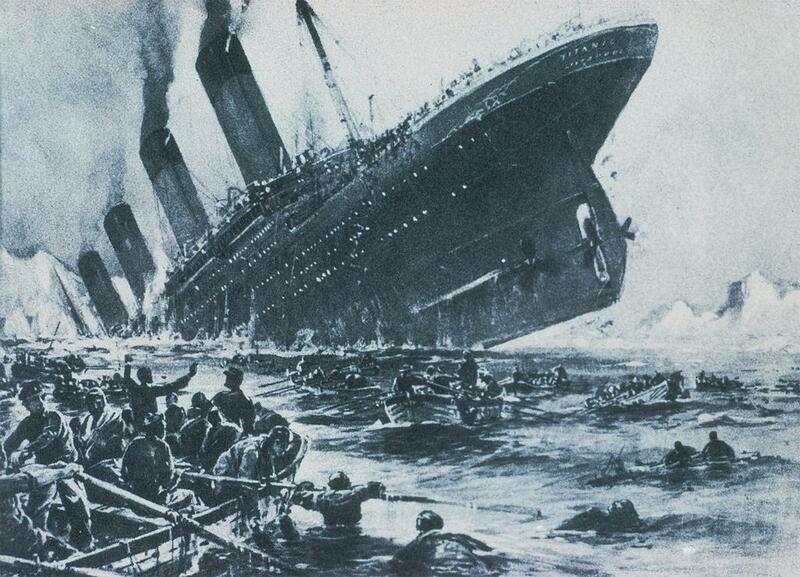 What Would Happen if the Titanic Sunk Today? Everyone who isn’t an Iceberg Supporter of all colours and stripes and political background would immediately post their statements of heart felt sadness and support for the victims of this terrible Iceberg Violence. People would modify their facebook profile pictures to have semi-transparent images of watery scenes and passenger ships if not an empty lightboat overlaying their sad faces. The more artistic would change their background picture. Icebergs would not notice this happening. Victims of the Iceberg Violence who survived and their families and friends might possibly hear that this is occurring but it really wouldn’t affect them. People who change their pictures wouldl be content in the knowledge that they were able to “do something” with a modicum of effort and expense, sleep better and feel involved/part of a manufactured community. Right wingers would LOUDLY TELL EVERYONE that this was the beginning of the end that icebergs were going to infiltrate all of our waters and impose Iceberg Law upon us. Normal people would tell everyone who would listen in a normal tone of voice that only a relatively few icebergs are a threat to us and if we are smart and plan well we can avoid Iceberg Violence. Historians will show that icebergs have always been a minor threat and need to be dealt with differently than we would deal with normal threats to our societal calm. Right wingers will call them traitors. The families and friends and national governments of people affected by iceberg violence will begin a program of attacking ice wherever found because frankly if you get rid of it all no more ice will form and be a threat.